Larry Zakarin is President at Steve Madden private label handbags. 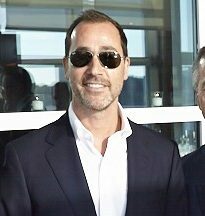 He joined Steve Madden, Ltd. in 2009 after the acquisition of the company he founded, along with his partner Jeff Goldstein, Zone 88/Shakedown Street. Zone 88/Shakedown Street, a privately held fashion accessory company specializing in Jr. Handbags, backpacks, and girls fashion belts, was formed in 2001. Larry has been working in the accessories business since 1987. He holds 3 patents in backpack design. In addition to his responsibilities at Steve Madden, Ltd., he is a director and trustee of Fabb and serves on the board of The Farley Project, a not for profit which promotes an anti-bullying message in public schools. He has also served on the board of PS290 and is involved in fundraising for St. Judes Children’s Hospital, United Jewish Appeal, the Deborah Heart and Lung Hospital and The Doe Fund. He lives in New York City with his wife of ten years, Amy, and his two sons, Hank and Adam.